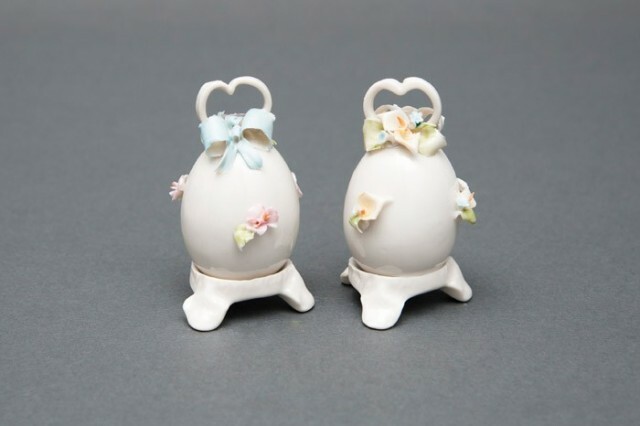 Cute Easter Egg in polished Capodimonte porcelain finely decorated with a gracious stand tripod, nice floral appliqués, bow and heart-shaped handle. Available in two versions. The price is intended for single unit. When purchasing, please indicate in the text field located at the bottom of the order page, which products you are interested in (light blue or yellow).